initial investment compared to concrete paving. 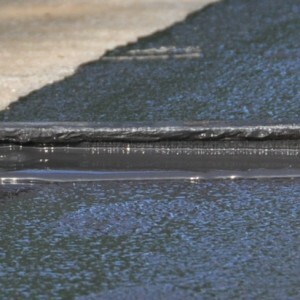 We are the best asphalt paving contractors in Mobile, Alabama. We are here to serve all of your asphalt paving needs. Whether you are looking to have a surface paved or repaved, we look forward to providing you with excellent service. Our experienced team has a great understanding in the world of pavement maintenance. Paving, striping, and seal coating is what we do, and we do it the best! We know that this is also a financial decision. Our promise to you is that we have the most affordable pricing around, along with the best team in town. We serve all of Mobile and Baldwin Counties. Whether you have a driveway that needs paving or a parking lot that needs resurfacing and striping, our team has the expertise that you want. Whatever your driving-surface needs may be, we have you covered! If you are one of our new local businesses in the Greater Mobile- Baldwin Area, please contact us today. You will not find better pricing! Our estimates are always free! We understand how important first impressions are! So, when your valued customers pull into your parking lot, it’s condition is the first thing that they will see. We will have it looking it’s very best! Our team has the best skills in the industry and can provide you with paving that looks brand new, while saving you money in the process. Perhaps you have some pavement in need of small repairs but feel like calling a service provider like ours isn’t necessary. It is! Small pot holes and uneven pavement can cause accidents and sometimes, injuries. Avoid the headache. No job is too small. We will be happy to provide you with a free estimate. We know how to handle all of your paving needs! If you are a homeowner, you most likely have a driveway. Unfortunately, if you are not a new homeowner, your driveway may be in need of repair. Call us! We offer free estimates to all of our customers. We will be happy to discuss all of your options, ranging from repair to re-sealing, on up to completely repaving. We can help you decide what is right for you! If you have a business in need of a professional-grade surface, laid down even and perfect, we can help! We will make sure it is done right. Whether you are looking to race cars or land airplanes, we have the team for you. 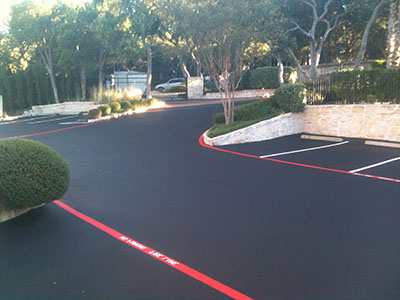 Seal Coating is an affordable option to adding a facelift to your current, dated parking lot or driveway. We provide the best of the best when it comes to seal coating options. With our professional staff and top of the line products, you will be happy choosing us to seal coat your driveway or parking lot! Our team is exceptional! You will not find a more efficient and friendly team out there. It is our great pleasure to serve you! You will always be treated with courtesy and the upmost respect. We take our jobs seriously and want it to reflect through our work, as well as our staff! If you have any further questions, or you are ready to schedule your first appointment, please feel free to contact us. We look forward to hearing from you! © Copyright 2018. Gulf South Asphalt, LLC - All rights reserved.